Brooklyn Boarding Kennels and Cattery has been established since the 1980’s, we are situated in Leighton Nr Welshpool mid Wales in the beautiful county of Powys and are 30 minutes from Shrewsbury. The Business changed hands on 8th February 2019 and we are the new owners Mike and Linda. We have now begun a refurbishment and by Easter (2019) we will have installed new purpose build UPVC insulated kennel units and cat units providing heated indoor sleeping areas, outdoor runs and a quieter stress free environment for our guests. Our refurbishment will also ensure compliance with the latest licencing regulations. We have very high standards and going forward we will have 10 kennels and 10 cat units ensuring all our guests have the maximum space and the care and attention needed during their stay. Dogs are individually exercised three times daily and are fed twice daily unless otherwise specified. Cats are also fed twice daily, clean fresh water for both is provided each day and is checked several times daily. 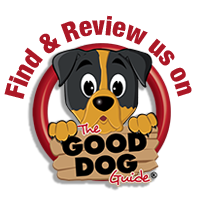 We cater for all normal diets and provide a good range of quality dog food, we request that specialist diets are provided by the customer. We encourage you bring your pets favourite blanket, toys etc to make it a home from home. If you have any concerns about your pet settling in we can arrange an initial free ‘day-stay’ visit to allow us to determine how your pet will cope in a boarding environment. We look forward to providing your pet with a clean, warm and caring environment and you with peace of mind whilst you spend time away. Please note that we do get very busy – especially during the holiday periods, so please do try and call to book as far in advance as you possibly can. Following completion of our refurbishment we would be happy to show both new and existing customers the new facilities, just give us a ring to make an appointment. Copyright © 2015 Brooklyn Kennels and Cattery. All Rights Reserved.